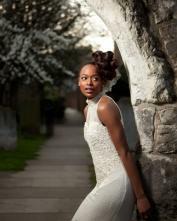 Black Hair magazine honours multi award winning hair stylist; Hector Obeng with a full 3 page bridal Hair special feature. Along with tips for that special day. Hector Obeng is currently 2012 Bridal afro stylist finalist of the yr and Great Lengths Bridal hair finalist 2012. recently He is the Great Length afro consumer award winning hair stylist for 2013.